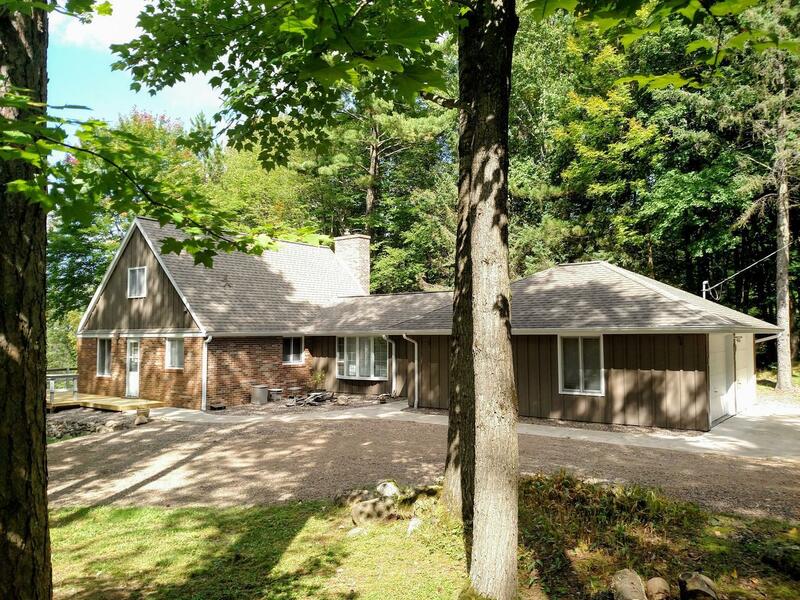 This 3 Bed 2 Bath Solberg Lake bungalow has all the extras, and is situated on a well-wooded lot with plenty of privacy and SANDY shoreline. The property is equipped with Silestone countertops, custom Alder cabinets, Gas Fireplace and an open concept floor plan with a spacious living room with exposed beams and cathedral ceilings. The upper loft makes the ideal library or bedroom, and there is a separate family room with a bay window. The lower level master suite has a spacious sleeping area, sitting area facing the lake and double shower with ceramic tile surround and heated tile floor. There is also a heated attached garage as well as an outdoor storage shed for all the essentials. This is a must see! Schedule a showing TODAY!